Today, I am going to teach you how to spot the difference between a genuine rated capacity jump starter and one that has a fake capacity. There are 2 different kinds of lithium battery used in jump starters. One is Li-PO, the other is LiFe. 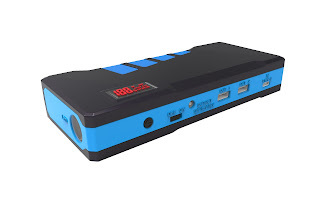 Most of the multi function jump starter we see in the Australian market is Li-PO. The standard voltage of Li-PO is 3.7V. Now we are going to work out how long it takes to charge up an AGA A13. To do this we need to know the AGA A13 charging input which is 1A @ 15V. Lets have a look at some of the ones you can find on the deepest darkest part of your google machine. This is a jump starter I found online. 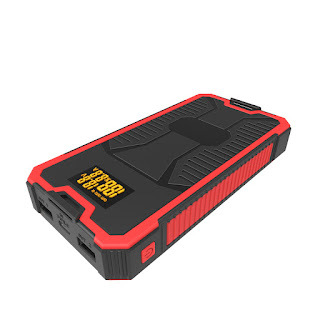 The capacity of this jump starter is 68800mAh mentioned-above. 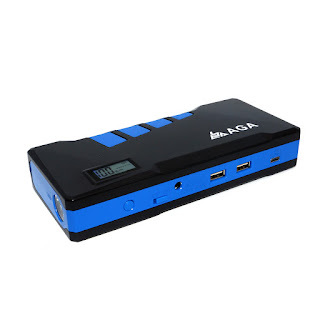 68800mAh ( 68.80Ah x 3.7V = 254.56Wh) is 354.56Wh,if the 68800mAh capacity is true. (254.56Wh / 12V x 1A = 21.21h) So the full charging time should be over 21.2 hours. But according to the description the full charging time is just 3-4 hours. The question I put to you is: if this company will lie about the battery capacity, what else have the lied about? The disturbing thing about all of this is that almost all the ones i found online are mislabeled in some way, shape or form. The aim of this blog is to give you the tools and a point of reference so that you can cut through all the nonsense and make an informed decision when buying a multi function jump starter.